You might say he’s a buzzworthy candidate. 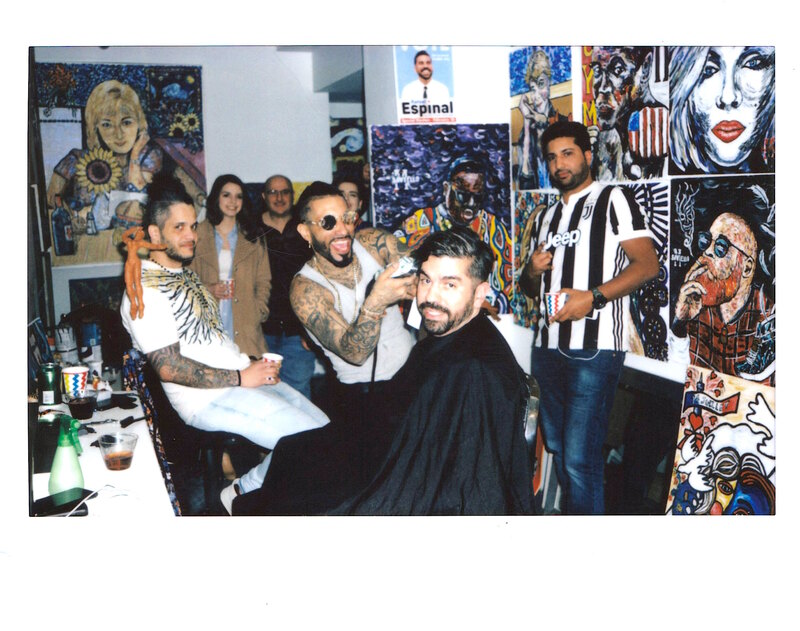 Espinal, whose district includes parts of Bushwick and other Brooklyn neighborhoods, kept up the party by getting a haircut himself and dancing with his friends and volunteers. With the special election coming up next week on the 26th, he paused the music momentarily to advocate for a more “livable city” with “more affordable housing and better services for all.” After gathering his attendees for our group photo, he gave the room back to DJs Udon Lipsmack and Mickey Perez before sharing free drinks with the 21-and-over crowd. Party attendees at the conclusion of Espinal’s brief speech. The special election, which will not a have a primary to whittle down the 18 candidates, is exciting for Espinal as he hopes to be not only the city’s youngest Public Advocate but its first Latino one as well. 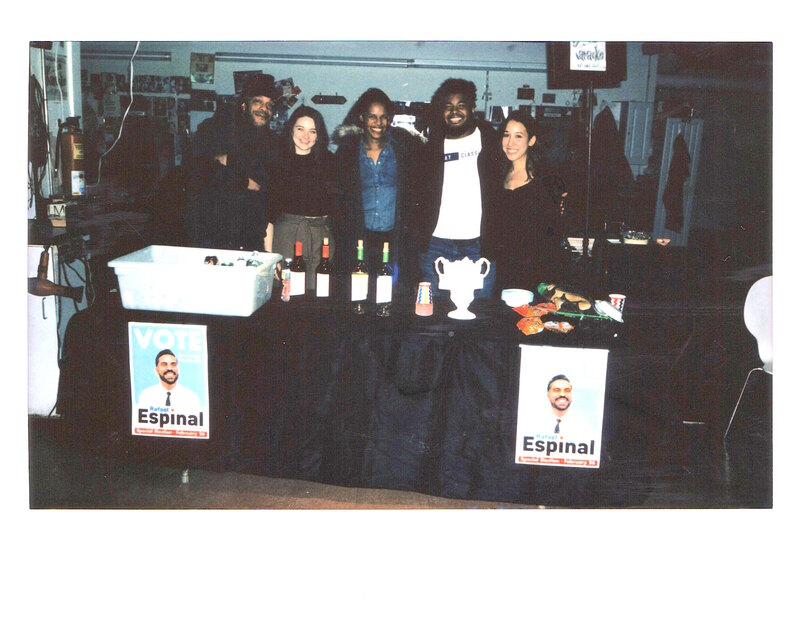 When I asked his citywide field director, Candice Fortin, what set him apart, she told me, “Rafael’s the most innovative in the pack, especially with regards to plastic waste and adding green tops to area buildings.” Espinal also led efforts to repeal the city’s cabaret law and create an Office of Nightlife. 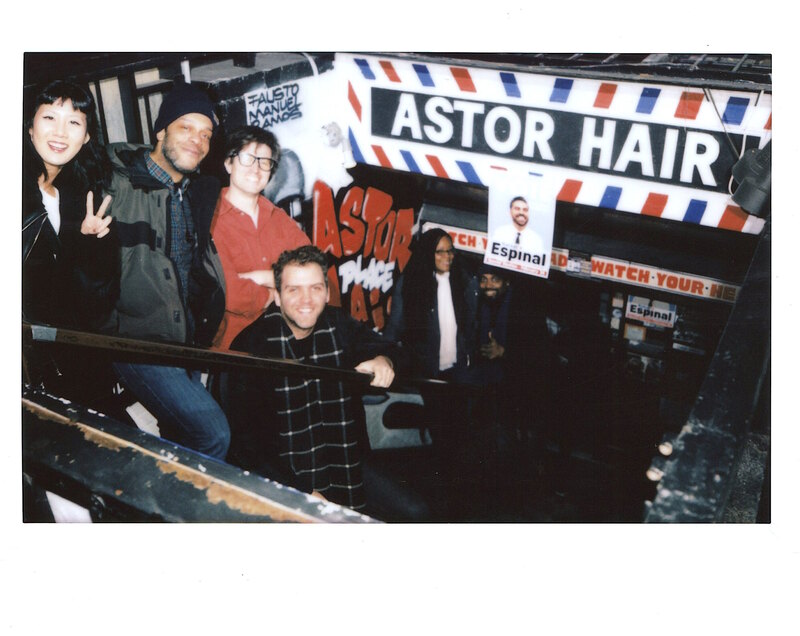 Astor Place Hairstylists manager Michael Saviello (2nd right) with Rafael Espinal and friends. For those just catching up with the special election to fill the seat vacated by new state Attorney General Letitia James, there will be one more debate tomorrow night and Espinal is holding watch parties in every borough, including one at Williamsburg bar Zablozki’s starting at 6pm. Attendees outside Astor Place Hairstylists. 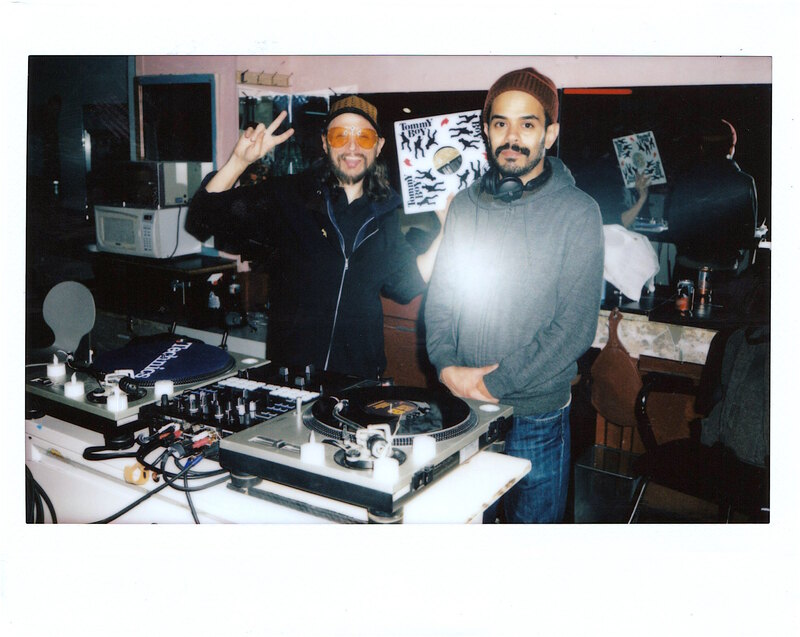 DJs Udon Lipsmack (left) and Mickey Perez (right). 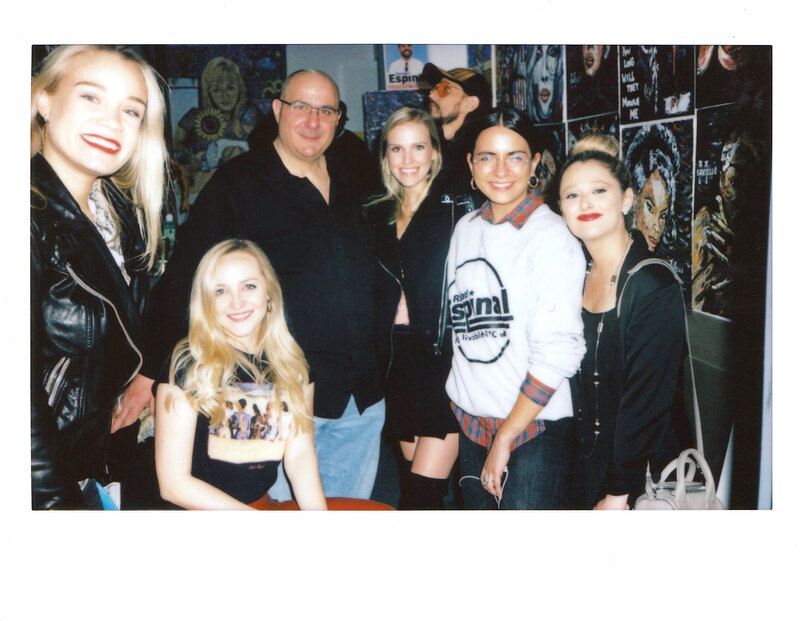 Attendees in Michael Saviello’s painting studio. Espinal’s citywide field director Candice Fortin (center) with volunteers at the refreshment table. 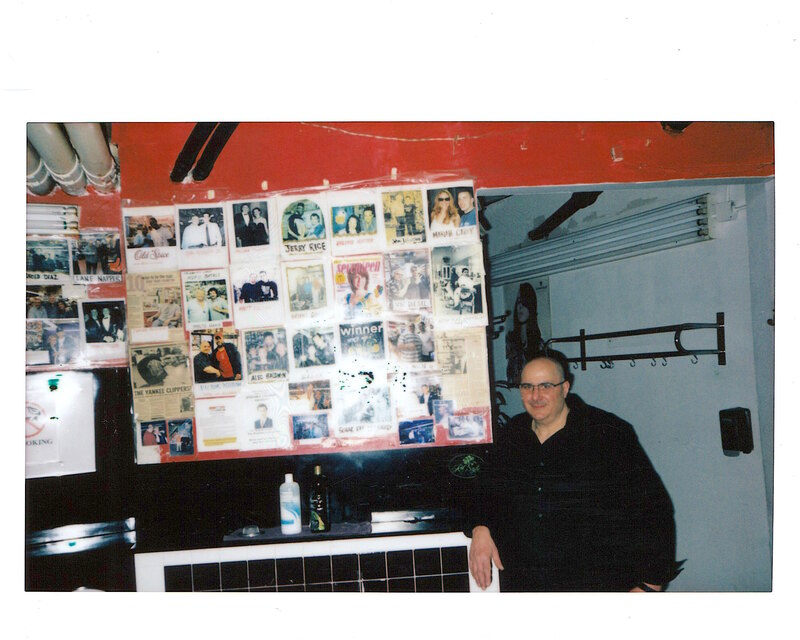 Michael Saviello with Astor Place Hairstylists celebrity wall. Correction, Feb. 20: The original version of this post was revised to correct Candice Fortin’s title, Udon Lipsmack’s name, and the age of Astor Place Hairstylists. Instead of getting his haircut in public, Councilperson Espinal should demonstrate to the public how we are to eat take-out food without plastic forks, spoons and knives? Is he living in feudal Europe where people had no cutlery and used their fingers as written by Chaucer in The Canterbury Tales? But, as a NYC Public High School graduate, Espinal most likely never read Chaucer nor learned about feudalism. Proof of Espinal’s lack of education is that he is routinely confuses the source of plastic pollution. Yes, there is plastic pollution, which comes from Asian countries, not the US. It is a problem of the Pacific Ocean on the Asia side, which is 11,000 miles away from NYC. New York just happens to be on the Atlantic coast. Espinal’s crusade on eliminated plastic from every aspect of life in New York , which is to feed his ego, will not do a thing to clean up the shores of Asia. Instead of ordering all to stop using plastic, perhaps Espinal could take his summer vacation volunteering with the organization 4ocean with their clean up of the plastic pollution found on the shores of Asia and after he learns that New Yorkers do not contribute to ocean plastic pollution, Espinal can focus on legitimate concerns of his community.